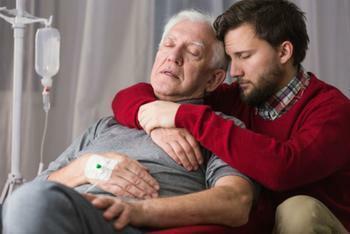 Many consumers are uncomfortable when it comes to the subject of death, and planning for what will happen when a loved one is at that phase of life is a daunting prospect. However, having end-of-life arrangements in order can go a long way towards mitigating costs and allowing things to run smoothly. Unfortunately, it seems that many people are continuing to put off advance care planning. A new study conducted by a Yale researcher finds that too few elderly adults have a plan for end-of-life medical decisions. Further, the findings suggest that those who have picked a loved one to make decisions for them have not clearly communicated what they want. "You can't assume advanced care planning achieves the goal of making sure the surrogate understands what the patient wants," said Fried. "Planning needs to include a facilitated discussion between the patient and the surrogate to make sure they are hearing each other and talking about things that are important to the patient," said Dr. Terri Fried. Fried interviewed 350 veterans aged 55 years and older and their surrogate decision makers to see how in-depth their advance care plans were laid out. She asked surrogate participants what their loved one would want under different circumstances. In one case, she asked participants if their loved one would prefer to receive treatment, even if it left them severely impaired physically, cognitively, or in severe pain. She found that advance care planning was lacking in 40% of cases on these kinds of points. The findings showed that many patients had not communicated their wishes on these matters; around the same percentage of participants had not completed a living will or established health care proxy. Additionally, Fried found that patients and surrogates often disagreed with whether they had communicated thoroughly on end-of-life decisions. Only approximately 20% of these surrogates were able to predict their patients’ wishes for life-sustaining treatments, though the numbers were only slightly better for pairs that had agreed that they properly communicated on end-of-life decisions. Fried and her colleagues believe it is essential that surrogates and patients plan for end-of-life decisions, and they are currently in the process of making a system that can help consumers adequately cover end-of-life planning.